Bodrum or Alanya - which resort to choose? Home › Blog › Bodrum or Alanya - which resort to choose? Alania and Bodrum - the names of these two resorts, as they say, are well known. And it is in these cities that foreigners most often buy real estate. Moreover, the advertised Bodrum seems to be a symbol of elite life. After all, as we are told, it is here that Turkish pop stars and cinemas get villas for a holiday. But is Bodrum as good as it is sung about in songs? And is it worth it to go there? Anyone who plans to buy property in Turkey, first of all, thinks about the house by the sea located in an area where summer does not end as long as possible. The heat in Alanya begins in April, and it is this month that many open the swimming season. Of course, the sea is still a bit cool in spring, but for us, accustomed to the snowy winter, just right. Well, May on the Mediterranean coast is a real summer. The swimming season in Alanya ends in late October - early November. And then, the sea does not cool down until January, so you can swim, and sunbathe on sunny days. But the bravest do not close the beach season at all. 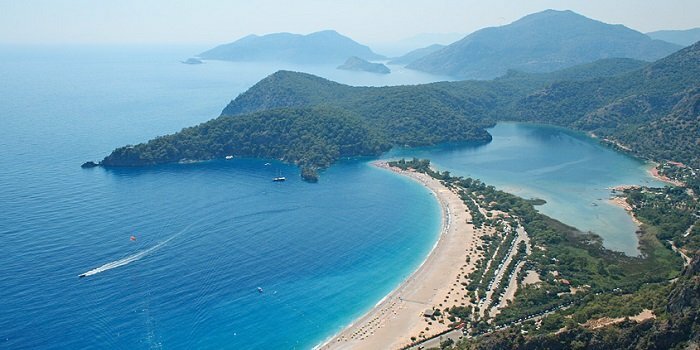 And if in the Mediterranean in the region of Alanya in October - November the sea is 23 - 25 degrees, in the Aegean Sea, in the region of Bodrum, the average water temperature in summer is about +23. The swimming season here begins in mid-May, and at that time the sea is still quite cold, and ends in mid-September. In winter, you do not sunbathe here - a cool wind blows from the sea, it often rains, and the temperature at night can sometimes drop to zero. Bodrum is a small town on the Aegean Sea. Basically there are two-storey old houses painted white. And in reality, looking far from like fashionable villas. Many of them are in need of repair, since winter winds from the sea do not have the best effect on the exterior finish of buildings, and, in fact, mold has long been settled in many houses. The fact is that the residential areas of Bodrum are located on the slopes of the mountains, so all the houses are in full view, and there are no obstacles for the wind. And in Bodrum do not build high-rise buildings. Here, in principle, not to find high-rise buildings because this resort town is located in a seismically dangerous zone. And here at any moment an earthquake can happen. In Alanya, everything is different. Alanya is a city that is constantly being updated. Modern residential complexes are being built here, and using advanced technologies. The place of old unsightly houses is occupied by new design projects. Alanya is a city that keeps pace with the times. By the way, this resort city on the Mediterranean coast is in a seismically calm zone, so there is no threat of destructive earthquakes in Alanya. When you buy an apartment in Turkey, even if only for a holiday, you involuntarily think about whether there is life in a resort city in the winter. After all, you want to come to the house by the sea not only in the summer months. And maybe even have plans in the future to move to a warm country for permanent residence. When the swimming season ends, the resort becomes empty. And finding a lesson here becomes extremely difficult. And at times, I don’t even want to go out at all, because whole lanes turn into "lifeless" islands, where the shutters in the houses are closed, and you cannot meet anyone all day. Bodrum is a resort for summer holidays, but not for a comfortable winter life. Despite all this, real estate in Bodrum is far from cheap. Here, in principle, it is difficult to find apartments within walking distance from the sea for less than 100,000 euros. While in Alanya for this amount you can buy an excellent apartment in a modern complex. And in Bodrum, all modern residential buildings are located at a decent distance from the center, while in Alanya you can buy a comfortable apartment at a great price in the heart of the city. By the way, life in Bodrum is also significantly more expensive than in Alanya. For example, travel in transport costs twice as much. The bill for lunch or dinner in the restaurant, too, significantly "hit" afford. In Alanya, everything is quite economical. But, of course, there are a lot of advantages for which Bodrum can be loved. First of all, these are stunning panoramas, opening up if you climb a little upwards, towards the mountains. But the breathtaking sea landscapes are not deprived and sunny Alanya. From Bodrum, since it is located on the Aegean coast, hand in hand to the main ancient cities of Turkey: Ephesus, Hierapolis, Bergam and Assos are a little further. Nearby is the famous Pamukkale. In addition, the Aegean coast is countless Greek villages, each of which is beautiful in its own way. But even near Alanya there is something to see: it is the Alanya fortress, and the ancient Syedra, the ancient Side, the delightful canyons and waterfalls, the ancient city of Perge and Olympos. Undoubtedly, Alania and Bodrum - these two resort cities are beautiful in their own way, and deserve the attention of tourists. But nevertheless Alanya wins in terms of comfort and standard of living. Therefore, if you are wondering: to buy an apartment in Alanya or to buy a property in Bodrum, without a doubt, choose the first option.